Thanks for entering our Back To School Giveaway. There's still a little bit of time to enter. All information is in the post here. Good luck! 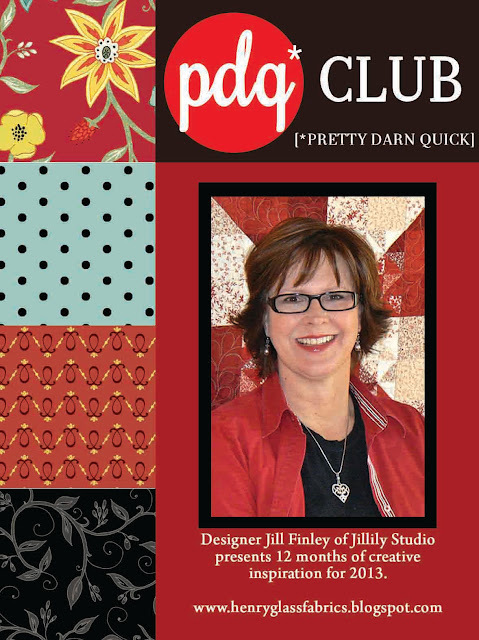 We are happy to present the August edition of pdq* Club [*PRETTY DARN QUICK] by Jill Finley of Jillily Studios. 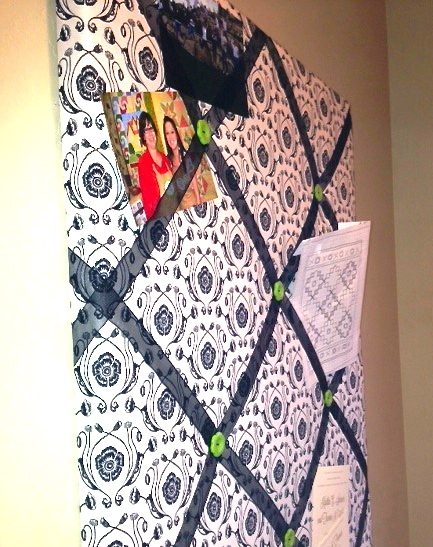 Who doesn't need a French memo board? Forget the really expensive store-bought ones. 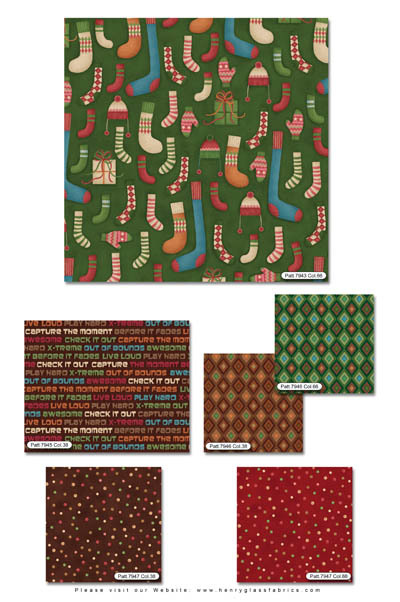 You can make your own at a fraction of the cost and you can customize it with your own fabric. The, dare we say it, holidays are right around the corner. 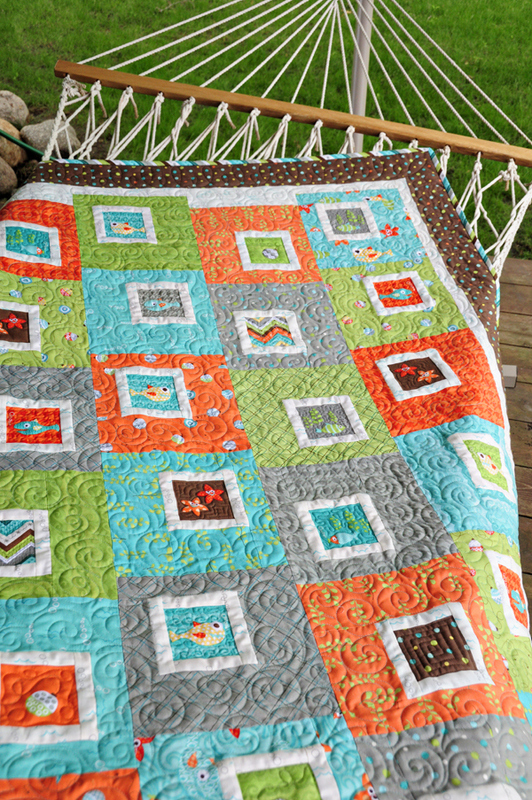 All of these pdq Club projects are quick and easy. 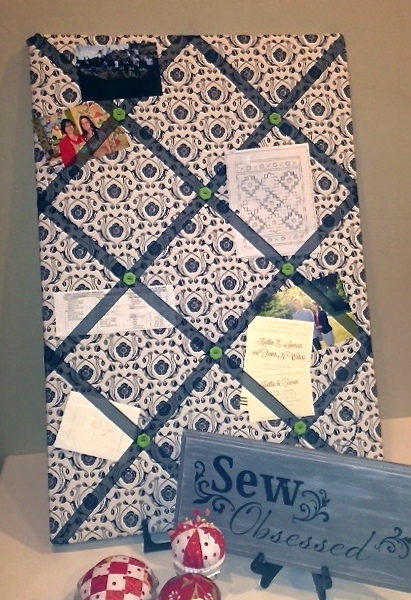 "I have been wanting to make a French memo board to help keep things organized and in sight around here. Putting "to do" items and fun inspirational things up on a board is much better than leaving them in a stack of papers on the desk top, don't you think? Start by gathering your supplies. I ran to my local home improvement store and bought the insulation board and peg board. I had them cut to size right there to save time and trouble. I spent around $7, and that included the Diet Coke and Cheetos that I deemed necessary to finish the project! As soon as I got home I picked out some fabric, ribbon, and buttons from my stash, and in no time I was done with this darling project. I hope you enjoy these free instructions! 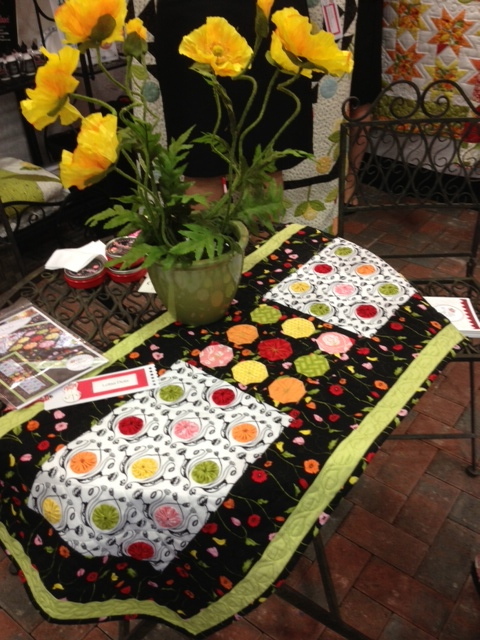 The fabric I used was from my new Poppy Patio collection. This black and white print is just so versatile. 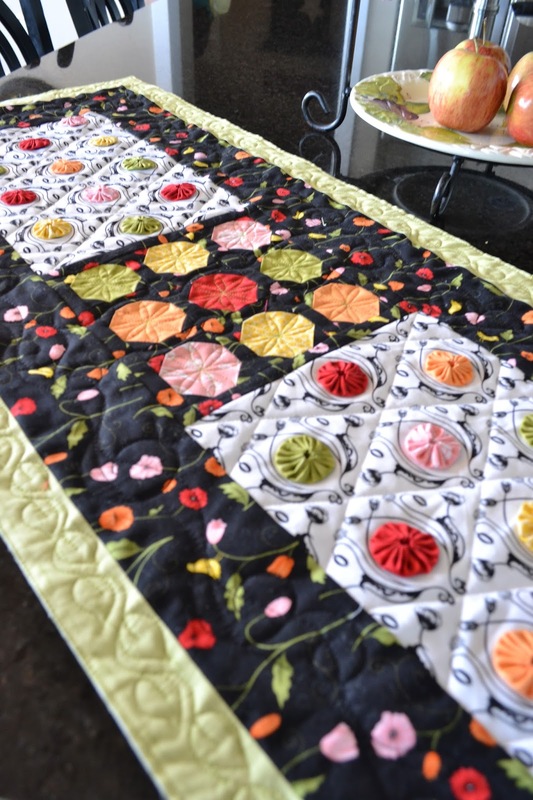 I also used it to make a darling table runner with yo-yos placed on each flower. This runner is called "Lotsa Dots," and the pattern will be available on my website next week." You can grab this month's pdq* Club [PRETTY DARN QUICK] instructions here. 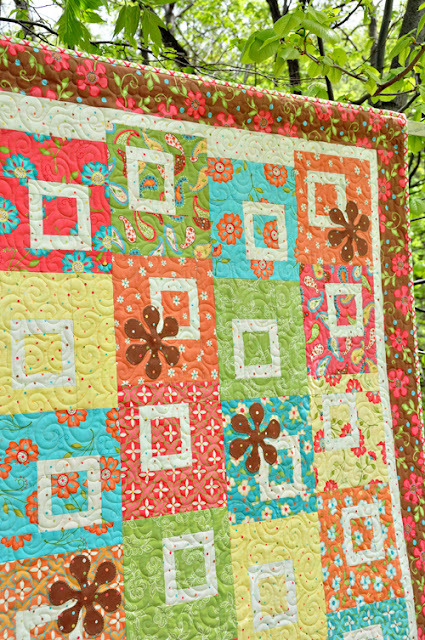 Jill has a couple of new releases that we are showing to your local quilt shops now. 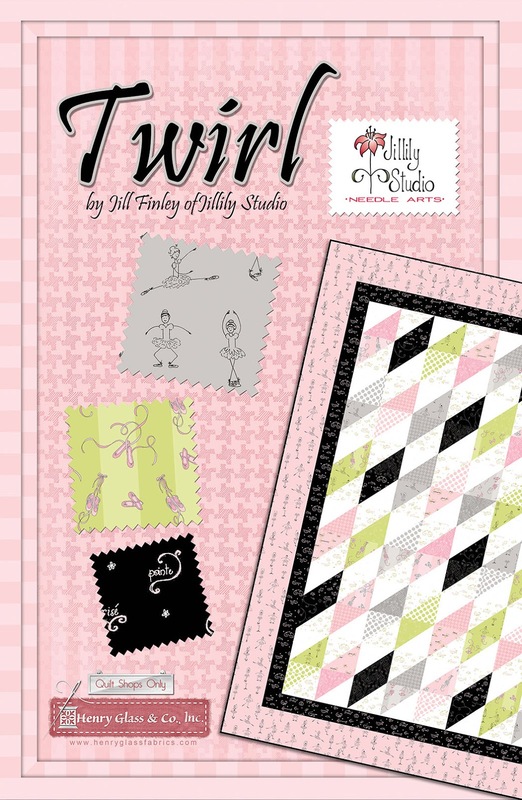 Jams & Jellies and Twirl are two darling new lines that will be coming out in the future. You can find out more about these lines on our website. This is darling and just right for carrying an ipad and a couple of essentials. Thank you. Congratulations! Remember to leave Jill a message here in the comments section by midnight September 22, 2013 and we'll draw a name for a bundle of fabric of our choice. THIS GIVEAWAY IS CLOSED. STAY TUNED FOR MORE IN THE FUTURE BY FOLLOWING THE BLOG, LIKING HENRY GLASS CO. ON FACEBOOK OR FOLLOWING ON TWITTER. THANKS! It's back to school time! 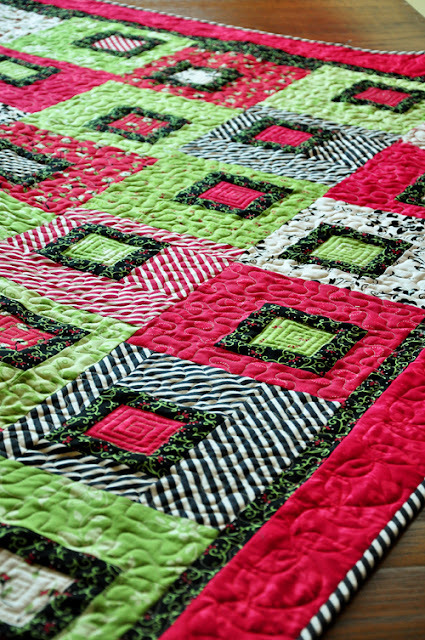 Many children have gone back to school and many parents and caregivers who love to quilt are probably gearing up to start sewing something new or to go to a quilt show or two soon. We know that we can inspire you to start something new! 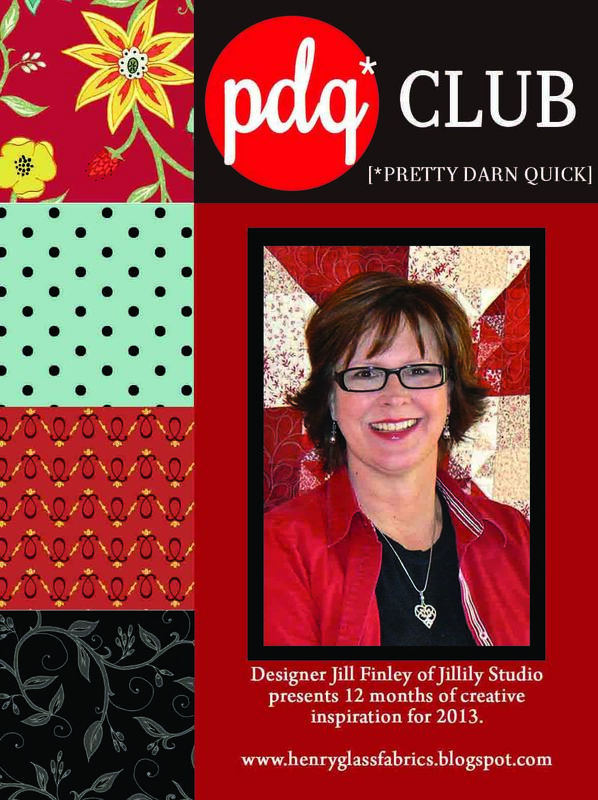 We've got Jill Finley's next installment of pdq* Club [PRETTY DARN QUICK] coming this week and we're waiting on this month's Desire to Inspire project. We thought that it would be fun to have a giveaway. 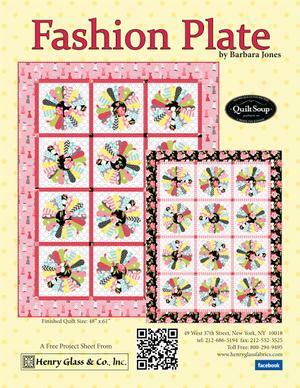 We quilters need our fabric inspiration! 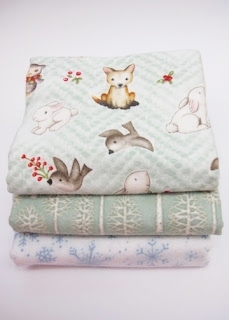 We selected some bundles from a couple of very sweet lines. 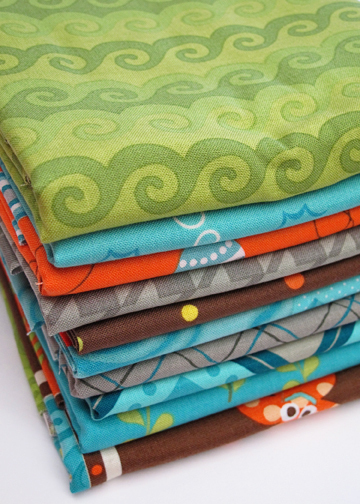 Let us know what you made with fabric this summer! [Bonus chances below!] We will select two winners. One lucky winner will win a bundle of Snow Babies by Beth Logan and the other winner will win Bear Hugs by Shelly Comiskey. Enter to win the fabulous bundle [prints may vary] below. Good luck! a Rafflecopter giveaway Have a great day! 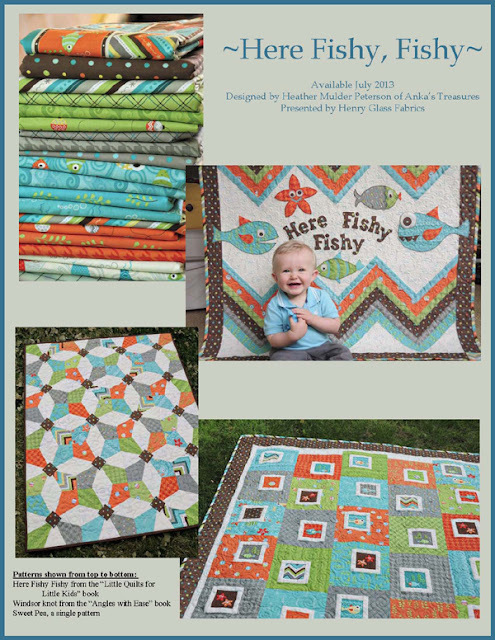 Heather Mulder Peterson of Anka's Treasures designed this absolutely adorable line, Here, Fishy Fishy. The line is filled with whimsical elements and the colors are so fun. It has been fun to see what she's made with the line but what especially caught our eye is the quilt on the bottom right [below]. Here's the bolts of the line in Heather's studio. 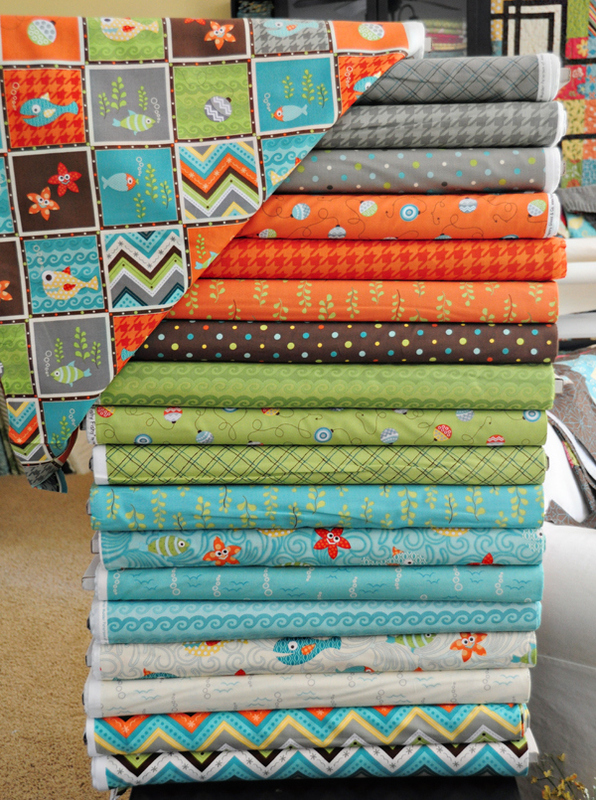 After this she transformed the fabrics into some very lovely quilts. What's fun about that particular quilt is it's transformation with different fabrics. We think that the versatility of a quilt design within a designer's fabric palette is a sign of awesome design. Very lovely indeed. 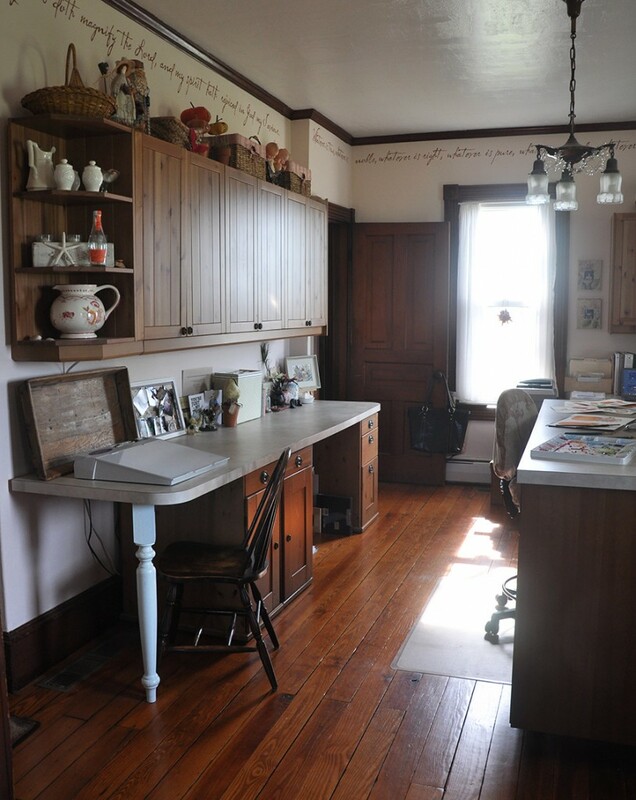 We love designer Jacquelynne Steves' home and studio space! No wonder she designs such lovely fabric and patterns. 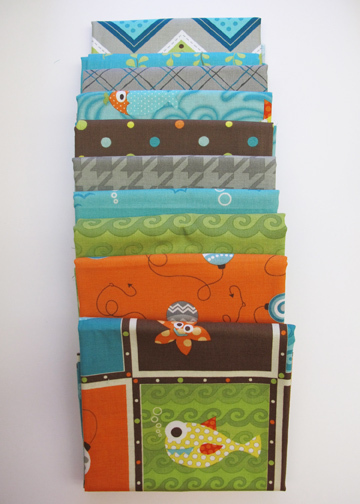 You can check out her fabrics here. 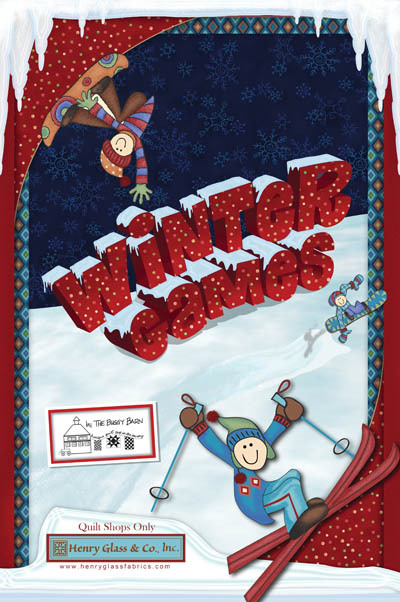 Thanks for entering our giveaway for the bundle of Winter Games. 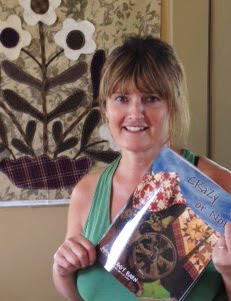 The winner is Susan Thorson Hecker. We will be contacting you very soon. Congratulations! The Buggy Barn ladies, Pam and Janet, have been very busy this summer. Their book is ready and it is gorgeous! The ladies are busy getting ready for their annual quilt show. Click here for a video of a previous show. We want to go and see the show! We recently asked the Buggy Barn ladies what they were up to this summer. They've been busy with renovations to their shop but they've also had some fun riding their bikes. The scenery is beautiful and we love your aqua colored bicycle! Here are a couple pics of us riding the Route of the Hiawatha. I included these because it's a really awesome activity if anyone is anywhere close. You have to remember, Idaho is only an hour away! The state took an old railroad line and turned it into a bike trail. It's 14.4 miles long and the best part is it's all downhill! But you go through tunnels, the longest is 1.7 miles and across tressels its amazing and the scenery is beautiful. The pic of my husband Tom, our neighbor Lorri who helps during quilt show and Pam shows one tressel in the background and thats the one where the group photo was taken so you can see the change in elevation. Have a great summer! 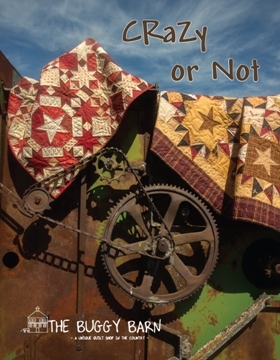 Ours is slipping away: quilt show and harvest are looming! So there isn't going to be a whole lot a play time left! 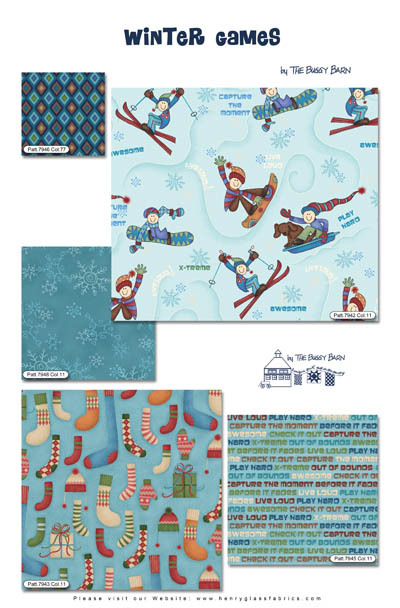 We have some of The Buggy Barn's line of Winter Games to give away to one lucky winner. You can check out the rest of the line on our website.